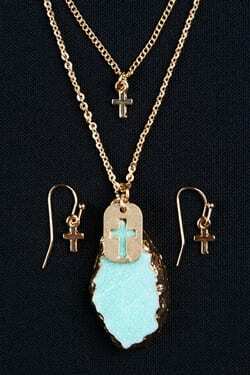 Vintage Cross Necklace & Earring Set. 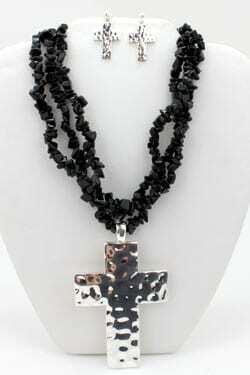 A gorgeous pewter safe cross on a stainless chain embellished with faceted glass to give it a vintage look. 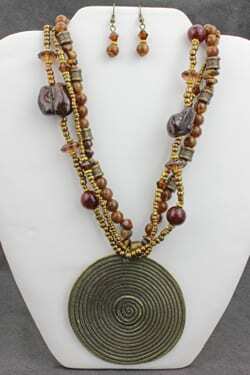 This beauty measures 25"-29" in length. 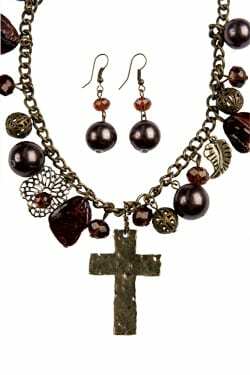 Vintage Cross Necklace & Earring Set. 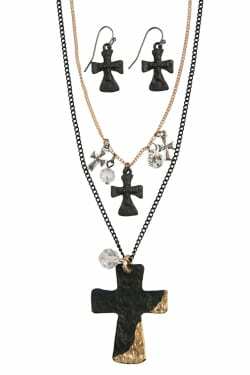 A gorgeous pewter safe cross on a stainless chain embellished with faceted glass to give it a vintage look. 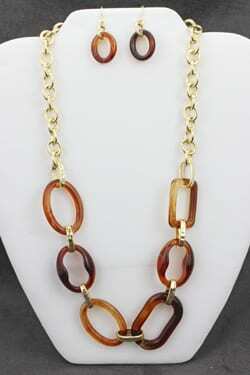 This beauty measures 25″-29″ in length.